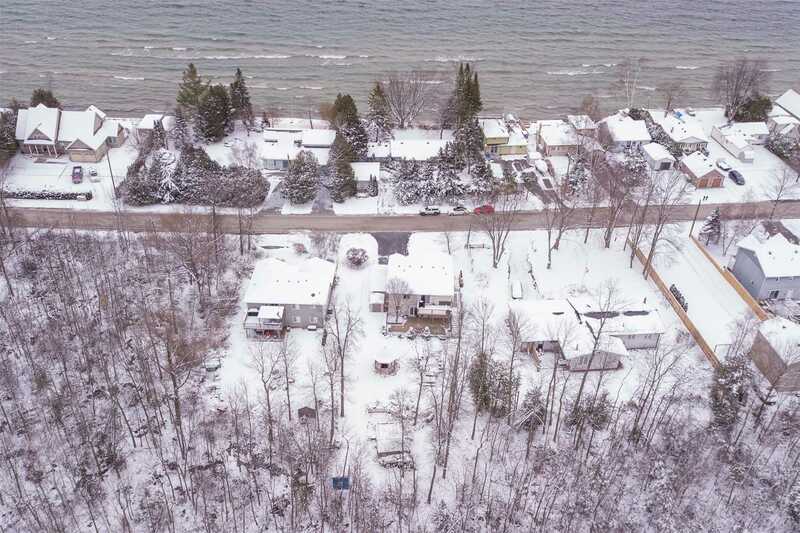 Lakefront Street Living Just Steps To A Popular Sandy Beach. 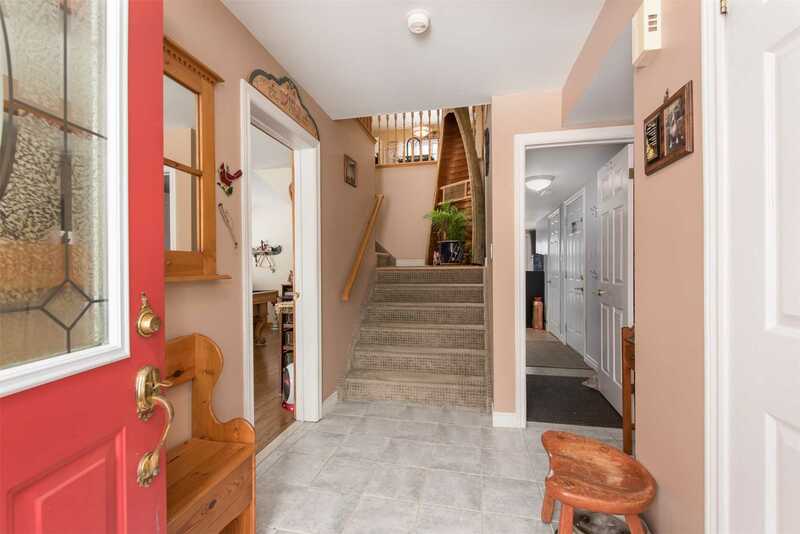 Close To The Friday Harbour & Central Location. 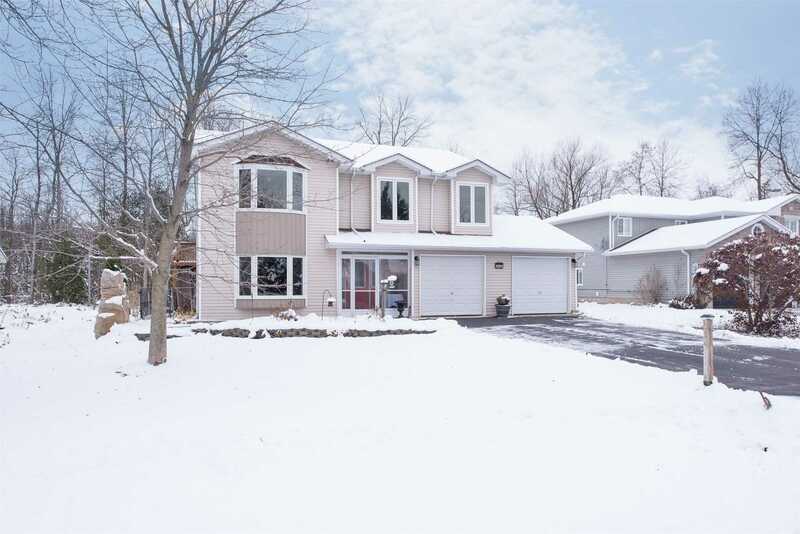 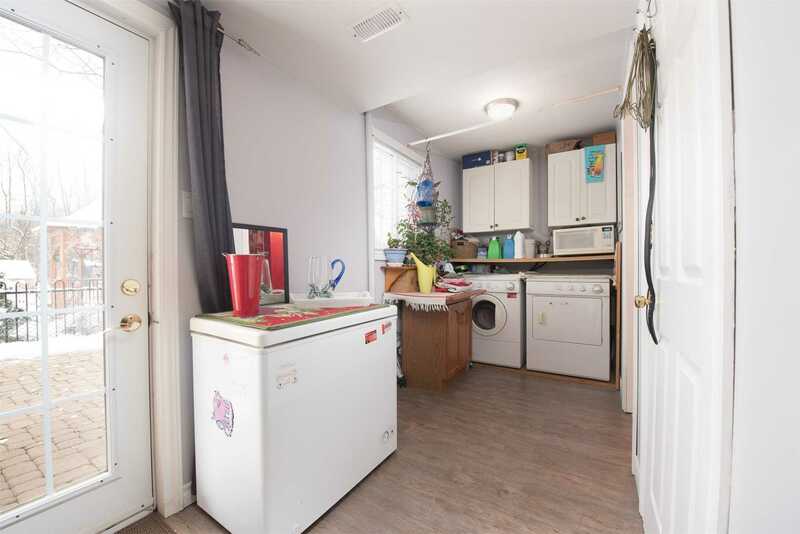 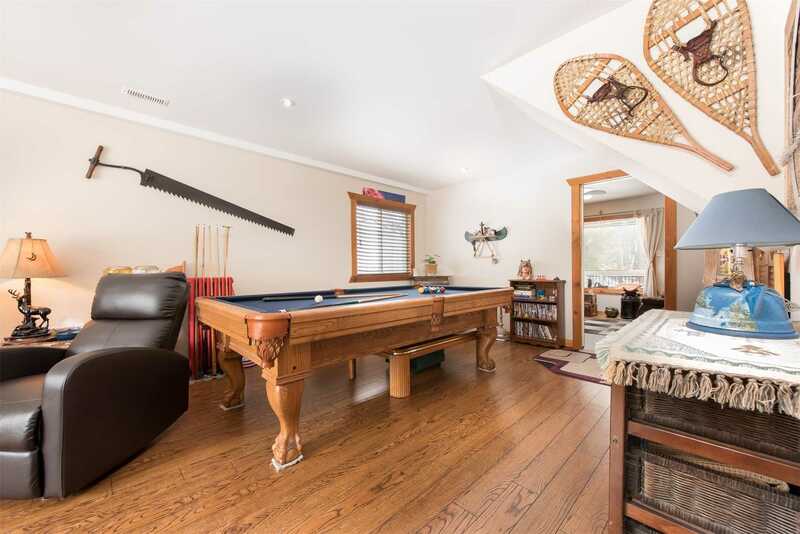 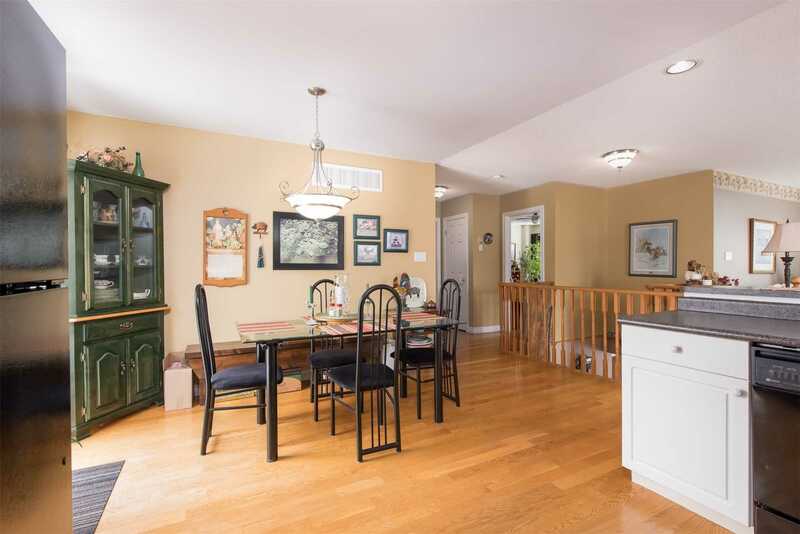 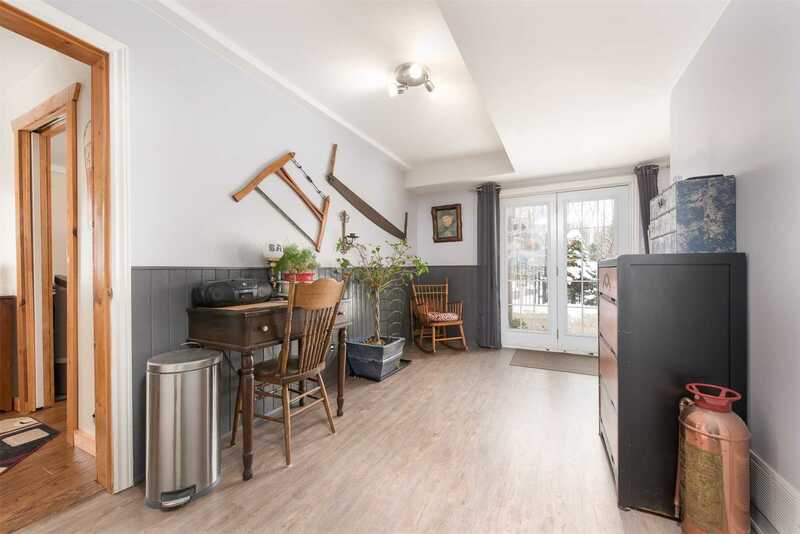 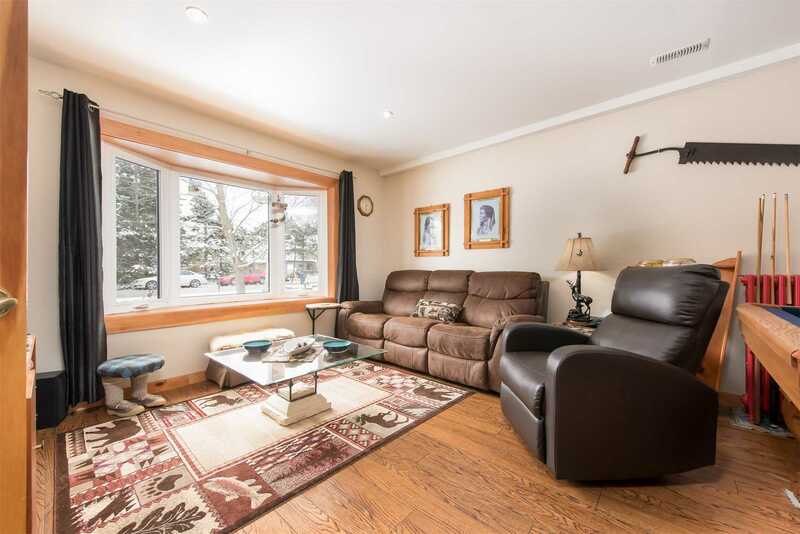 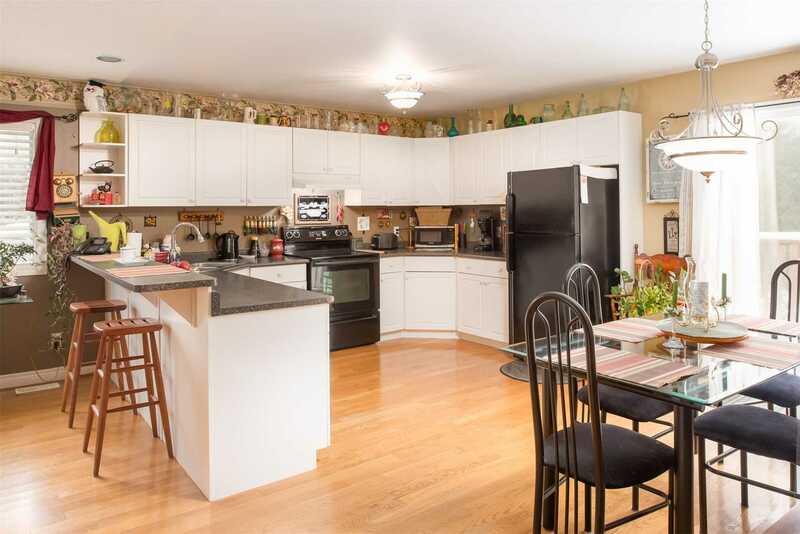 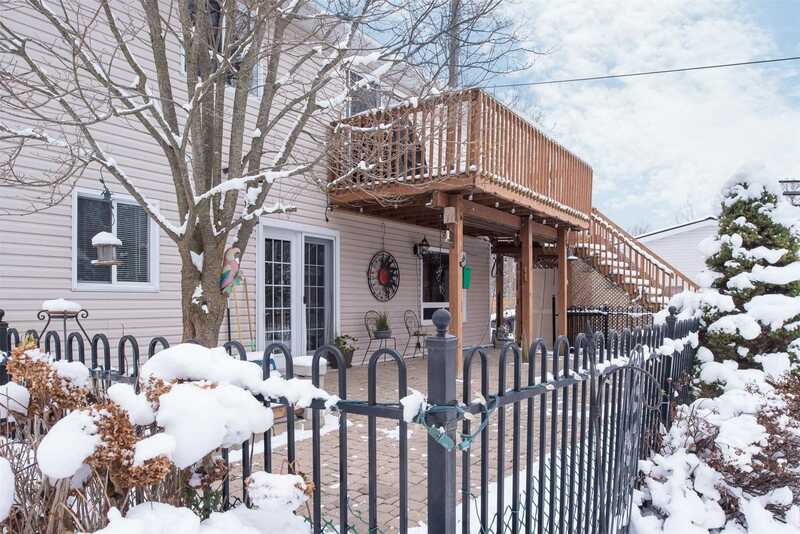 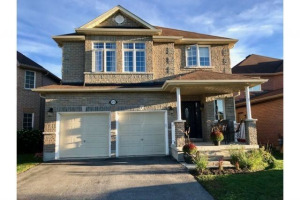 Open Concept Upper Level With Large Eat In Kitchen With Sliding Doors Out To Rear Deck. 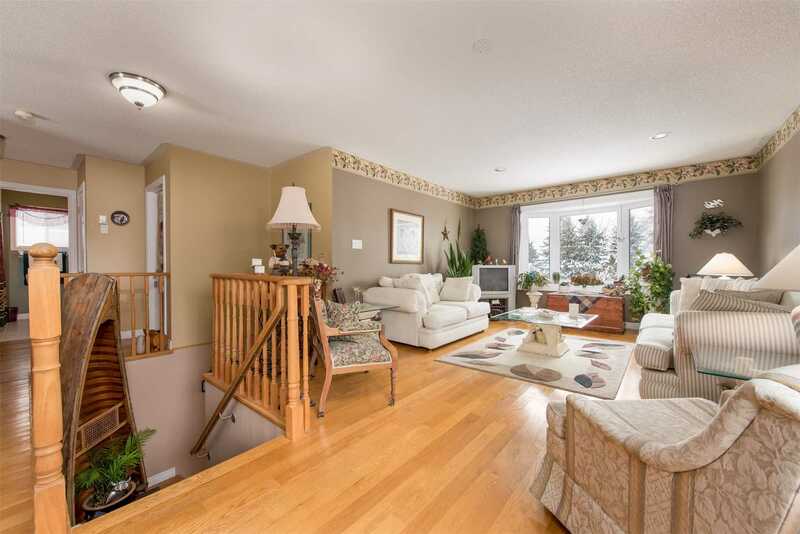 This Level Also Boasts Hardwood Floors & Great Living Room Area. 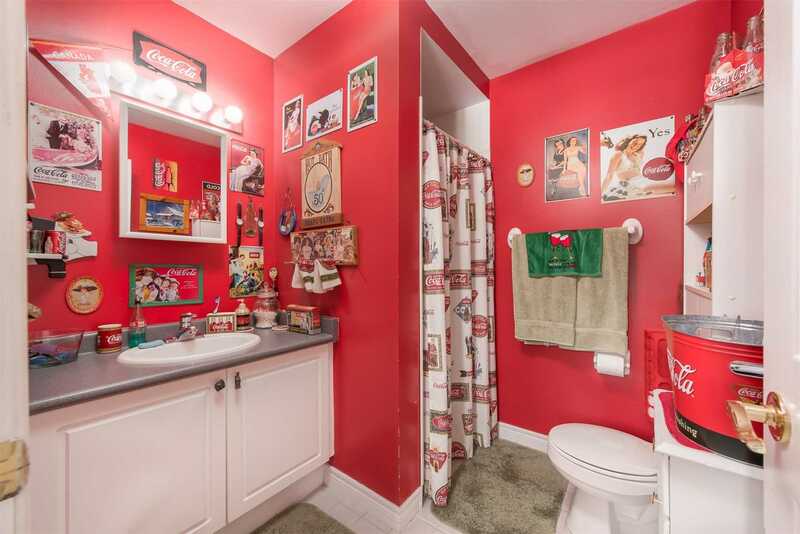 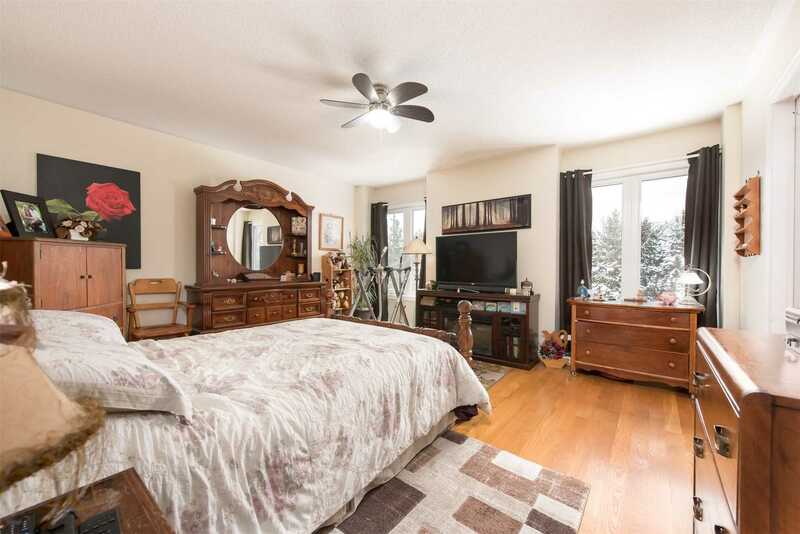 Spacious Master With Semi Ensuite & Walk In Closet. 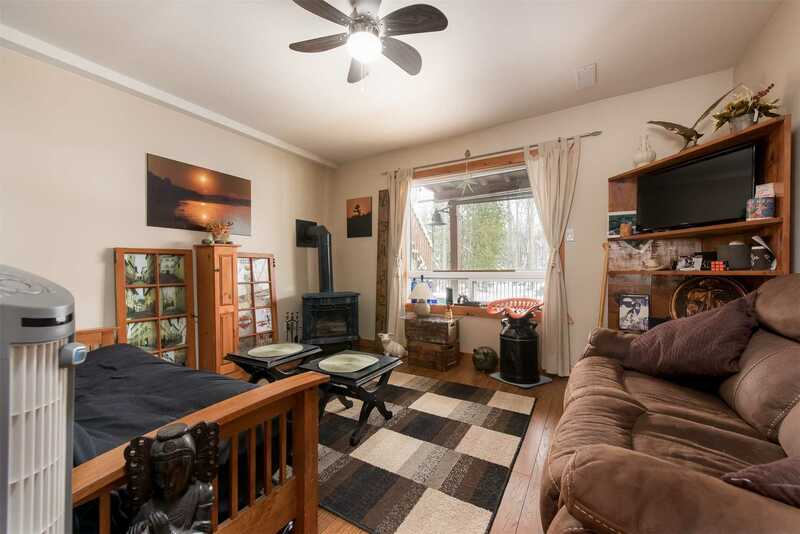 Lower Level Family Room, Laminate Flooring & Another Room Easily An Additional Bedroom. 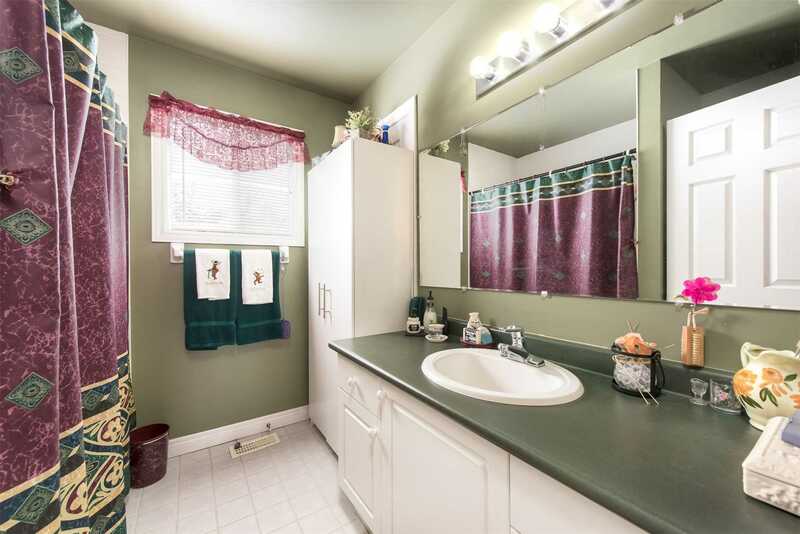 Lower Level Also Has A 3 Pc Washroom & Inside Garage Access. 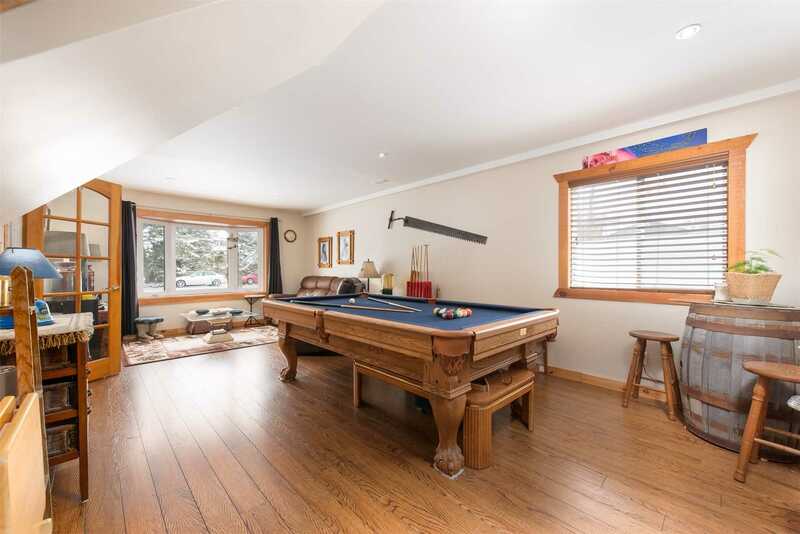 Store All Your Toys In Large Double Car Garage. 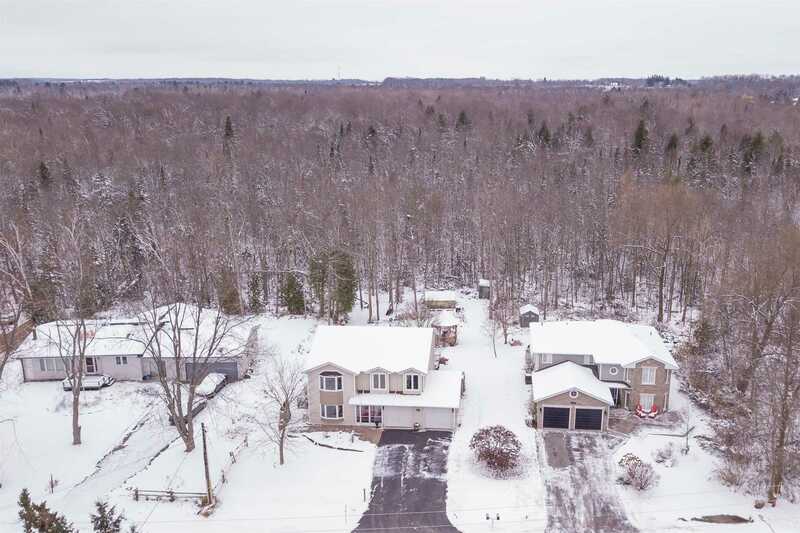 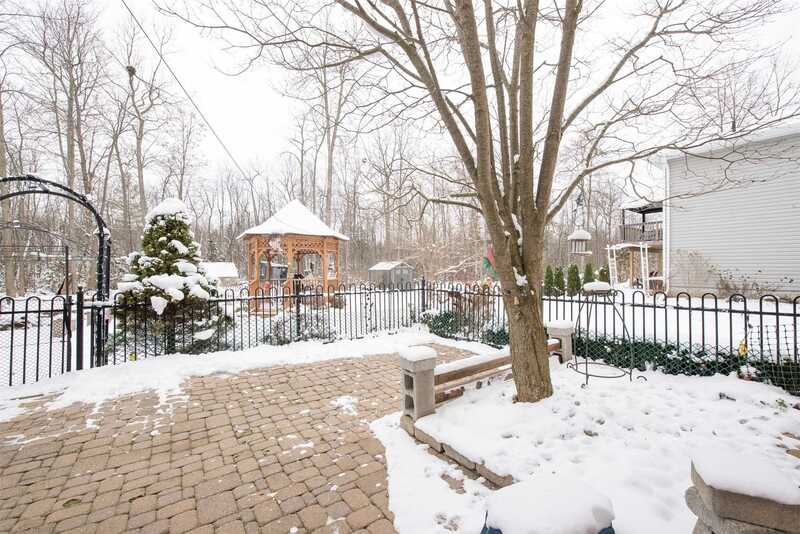 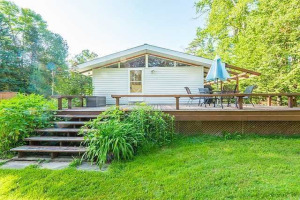 Landscaped Backyard With No Neighbours Behind As You Back Onto Environmentally Protected Land. 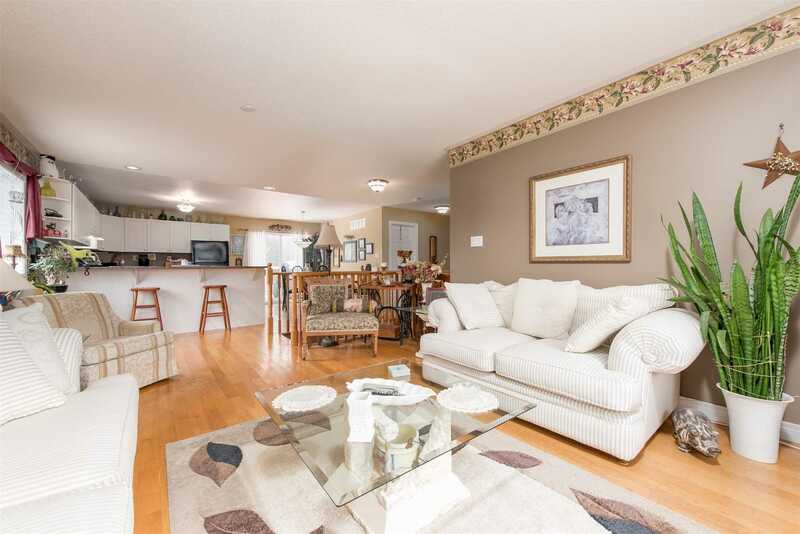 Great Home With 1965 Sq Ft Of Finished Space For Your Family To Love. 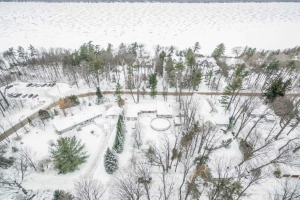 Welcome To Lakeside Living!